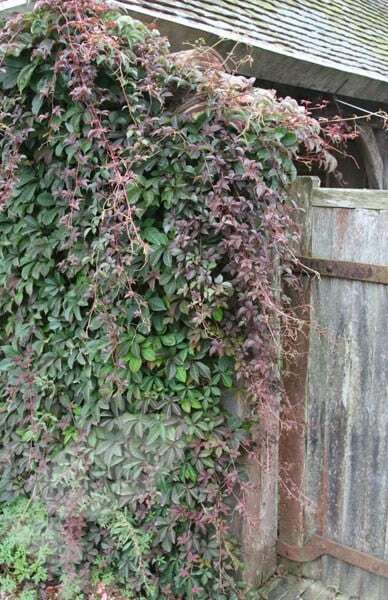 Less vigorous than its popular relative, Virginia creeper, this deciduous climber is ideally suited to smaller gardens, where it will quickly cover an awkward area, such as a north or east-facing wall. Unless it is grown in a sunny spot, its autumn colour is less dramatic too, but in spring and summer, its leaves are very pretty - deeply divided, velvety and dark green with prominent white and pink veins. A versatile and handsome plant. I planted it in a tub on my balcony and am training it on a brick wall. It has flourished this summer and now almost covers the wall. I planted it in November and ir survive all the cold weather we had last winter. Good strong climber for shade that grows rapidly. I was a little disappointed in the autumnal colour last year, was expecting more red - maybe I haven't planted it in the optimal place. Will see what this year brings. Hi, I purchased a Chinese Virginia creeper in April 2017 and it has settled nicely over the last year, however I have noticed that it is dropping a significant number of leaves already and it is only mid July... which seems a bit early! Is this to be expected or do I have a problem? I'd hate to lose it after it's settling in for a year. Thanks. Hello, I suspect your plant is stressed, so do make sure it is kept well fed and watered - and it has sufficient room for the roots to spread out - and the leaf drop should slow down. Hi, I have an east facing wall that gets plenty of sun through the morning. I would like to cover it (5m high) but will need to plant in a container and not in the ground. 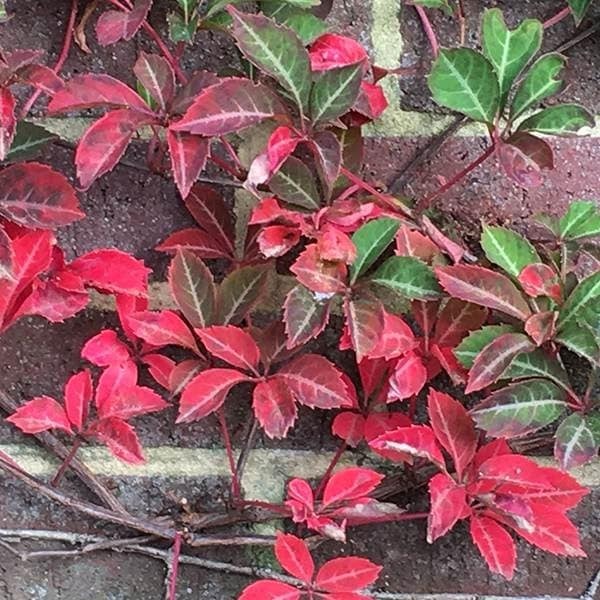 Would Chinese virginia creeper be suitable and if so what size pot? Any other ideas appreciated. Thank you very much! Hello, A plants growth is directly related to the size of its rootball, so if you are looking for coverage of a large area, then the best option would be to lift a couple of paving slabs and plant straight into the ground. Failing that, get the largest pot you can find and opt for something more modestly sized such as a smaller Clematis. You will however also need to provide some form of support - a network of wires on the wall would be ideal. Is my Virginia Creeper OK? A couple of years ago I purchased a Virginia Creeper. However I am now a little concerned because the plant has remained twiggy, with a small amount of growth (only three shoots up the wall) and the leaves all fall off in the winter leaving just twigs. Should I prune it right down to try and encourage growth and bushiness and, if so, am I ok to do this now or do I need to wait until the winter? I did think that this would retain leaves all the year round, is this correct? These are usually pretty tough climbers that grow well once they have had a chance to settle in although that can be spindly when young. They are deciduous, so the leaves will fall off in autumn to leave bare stems over winter. I wouldn't recommend pruning it as this will just set it back even further. However I would try to improve the growing conditions before you dig it up. Feed the plant with a balanced fertiliser, such as Growmore and mulch well around the base of the plant with some organic matter, such as well-rotted horse manure. The feed will help encourage some new growth and the mulch will help to retain soil moisture and improve the existing soil. Then keep the plant well watered in dry weather and hopefully it should produce some more shoots this year. What climber can I grow in a shady area? I have a blank wall that only gets sun late afternoon. Can you please advise me what I should choose? What can I grow against a north facing wall? We own a bungalow in the highlands of Scotland which is a holiday home. The front is North Facing on to a natural woodland hill so is quite shady although sheltered. We would like to grow something against the front to provide colour, smell and interest. Can you help?